Yps was a comic magazine, published from 1975 to 2000 as magazine for children. With each issue a gimmick (often a toy or a joke article) was included. This lifted it off in the first decade of publication from another comic magazines for teenagers. 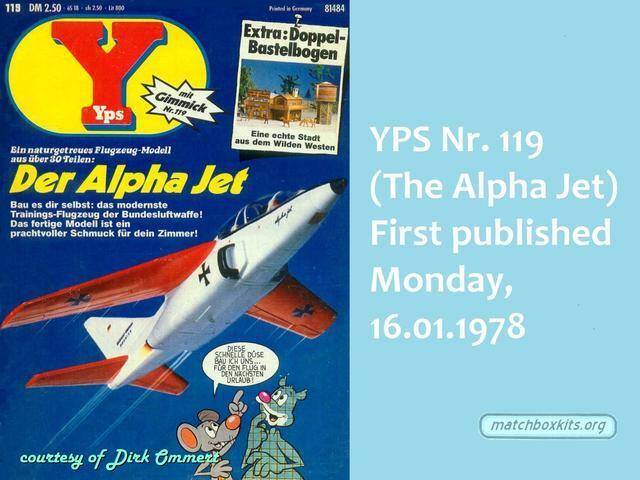 Number 119, of January 1978, included the Alpha Jet, of unmistakable Matchbox origin.